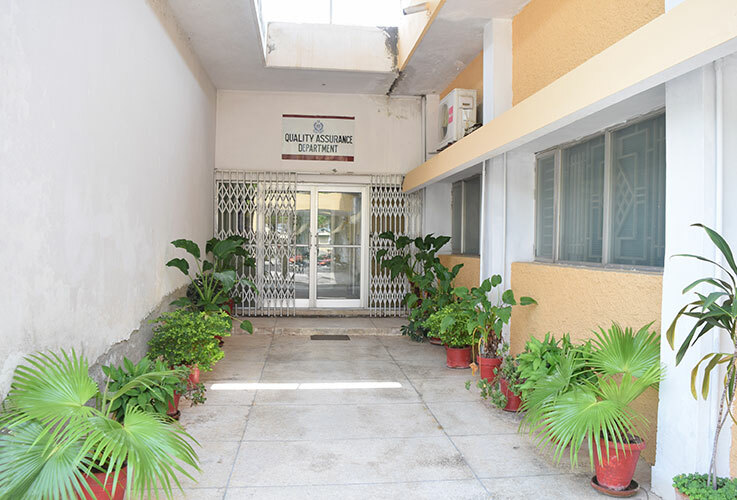 The concept of Quality Assurance started in Biological Production Division (BPD) during the year 1992 but an independent Quality Assurance Department was established in Nov 2002. Quality Assurance plays a pivotal role in the manufacturing of products by incorporating principles that bring solid footing to the institute by improving technical competence and quality management techniques. It is the combination of activities ensuring that biological/pharmaceutical products are of quality required for their intended use. It is a measure of safeguards, which are built into the manufacturing process. It is a series of planned activities, which biological/pharmaceutical facility carries out with the aim of offering adequate confidence that a product complies with the specified quality requirement. It also makes certain that Product is produced in accordance to WHO GMP recommended requirements and meets the WHO recommended requirements for quality, safety and efficacy (Technical Report Series, WHO, documents).